If you’re big into Vintage Weddings and want to make a real statement on your wedding day make like a Royal and organise your own fly-past. The team over at Kent Spitfire have a Spitfire IXe TA805 based at the historic former RAF Battle of Britain fighter station, Biggin Hill, that can be hired for weddings and events. The fly-past will give your guests a chance to experience the Spitfire’s iconic shape and unmistakeable noise made so famous above the Kent countryside. What a perfect way to bring back all the memories and emotions of the wartime era to add to your wedding day theme. 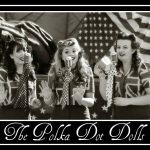 Team it with a 1940’s singer, roll out the bunting, wave those Union Jacks and be ready to shout “chocs away” vintage lovers!